…and that subject is books. Paper old-fashioned books vs. E-books, that is. My question is not so much which are better? because I know it’s all an individual thing. For me, real paper books are the best. That’s because they are the only kind I have around me. I do not have E-gadgets for reading books and I have no desire to have them. That said, however, I realize E-books and E-reading of said books is becoming the wave of the present and future. More and more young people are using them. More and more older folks are, as well. But it’s the kiddies that I’m specifically thinking about here. The crux of my question is all about economics. I realize that it seems that “everyone” has an E-reader but that’s not really true, now, is it? I don’t. Lots of people I know don’t either. So should we assume that all children of school ages have E-readers? Or that they ALL can afford to have them? I don’t know specifics about the costs of these gadgets, but I know they can’t be free. Right? You have to put up a good chunk of change to buy one in the first place, right? Does every child in this country have that chunk of change to put up? Also, once you HAVE the gadget in your hot little hands, don’t you have to pay for each and every book or item you download to it? Does every child in this country have enough money at his or her disposal (via their parents) to afford to be downloading all the various books, articles, newspapers, or whatever will be “required reading” to get them from kindergarten through 12th grade? That’s 13 years of buying things constantly. Do the parents of every single school-aged child in this country have the resources to be spending this kind of money? I ask these questions as one who is not familiar with the economics of owning one of these gadgets. So I ask it kind of rhetorically but also because I really don’t know any of the details of an answer. The reason I ask is because I just saw a short interview on TV about the future of books in the schools, and the conclusion was that within a “few years,” school-aged children won’t have paper books any longer and will all be using the E-gadgets. They said that within a decade, children will wonder what those paper things are on our bookshelves that we so lovingly have saved for years and years. Also, who will pay for all this upgrading? Will it be a fee that parents will have to fork over at the start of every year in order that their children will have the most up-to-date E-gadgets from which to learn? And how much? As it is now, and I could be wrong, but I think that in a lot of towns across this country, parents are now having to fork over big fees to the schools if they wish their children to participate in any school-sponsored sports. So now are they going to be responsible for paying for all the reading materials their children will need, as well as the implements on which to read them? As you all may know, we don’t have human children — just dog-children. Our dogs are pretty low maintenance compared to a human child, or two or three, and they don’t require all these modern 21st century E-gadgets either. So if anyone knows the answers or just wants to discuss this subject, I’m open to hearing from you. It just seems to me that since we still have “poverty” (a bad word apparently to the pols who have taken to calling the poor “low income” families) in this country, there are surely going to be a whole swath of kiddies who won’t be able to keep up or who will be left out of the loop somehow. I hope this is not the plan. I didn’t mean to get political, but I guess all life is political when you get right down to it. I don’t have any answers (or any children), but I can tell you my own experience. I had one of the first Kindles, and although I still have it, I don’t use it any more. I do all of my e-reading on the Kindle app on my iPhone and iPad. Those devices also have a proprietary e-reading app (called, of course, iBooks), which I haven’t used but I understand is also very good. What I like about e-reading is that I can change the font size to suit my aging eyes, and of course I can carry around a thousand books without needing a big truck. I do pay for most of the books I read, but less than the paper-and-ink version. And there are free and discounted offers all over the place, if you look for them. Most libraries (not mine, unfortunately) let you borrow them as part of their service, and there are now ways to lend some e-books between friends. And by the way, the Kindle Reader for my PC is also quite easy on the eyes (although not nearly as portable). I have no opinion on whether old-fashioned books are better, any more than whether board games are better than video games. That part is personal, but the future will likely be more electronic than the past, if only to save the earth’s resources. Now that is something I did not know… that you can read the books without being online. Thanks Sandy! You only need the internet to download them…after that you just can go anywhere and read. Now if I want to use my reader to search or email…than i need the net. But for books to read..no..I have over 100 on mine now. I lot of time stick it in my handbag if i have to sit in doc office very long. I have to admit here that I am almost convinced that E-books seem to be “better” than physical books. Just not for me. But then I’m not dead yet. But I have one question. What if the internet were to “go down” one day? Why is that impossible? So, say tomorrow we woke up and there was no internet connection. Could E-readers still read their books? Last time I went to Hawaii I took 135 books with me to skim through and read, as well as several years of my own journal. The electric ink didn’t weigh much. We are the transition generation. Ten years from now, books will be quaintly old fashioned. For those who can afford the luxury of paper. I can’t force myself to love reading books on a “device,” but I can understand how ultimately, it is probably better for the environment, for the pocketbook, for any number of reasons to switch to that format. On the subject of politics — oh, it is so hard to listen to arguments about how we must stand behind trickle down economics, trickle down wealth, knowing that for the vast majority, nothing is going to trickle down — not today, not tomorrow, not in a decade. And there is only one life. And any small helping hand would make it so much easier for so many to pull through the tough times. I think Rhu has the right of it, that if and when the schools go to eBooks the schools will provide them. My Kobo is like Rhu’s Kindle, it’s about the size of a paperback book. It cost $99, down from the original price of $139. I remember when I was in college (back in the 70s), even then a single text book could cost that much. In the 9 months I’ve been using my eReader I’ve bought a grand total of 2 books. However, I’ve read something like 30 books. Those other 28 books were all borrowed from my library. I downloaded them to my computer and then moved them over to my eReader. Some of those books were classics that no longer have copyrights, so they’re available free from all kinds of sites, and some of them were current books. Oh, and I had some Taste of Home magazines in .PDF format. They were offered free by the magazine itself. I tried putting them on my Kobo but it didn’t work perfectly, unfortunately. The .PDF format doesn’t work seamlessly with my eReader the way I’d hoped. Well, you know how I feel, so I won’t bore you with a repeat. Let me note that I got two more books for my kindle yesterday: another Kipling book and yes, one more Sherlock Holmes. Both free, as are most classics and many newer books. My hands have arthritis, and I bless the kindle every day I use it. Its size and page display are very close to that of a paperback book. I wonder if people who read from scrolls of parchment cursed the invention of the Gutenberg press? I know the Catholic Church did. Books were not to be in the hands of the masses. 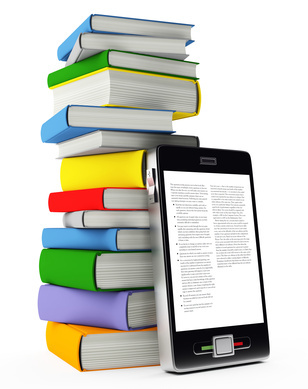 When textbooks are available in eBook format, students will get eReaders distributed to them, just as books are today. The cost of all those books, per child, is far more than the cost of a basic Kindle. I love books..alway have and always will. I do have a kindle fire that i wouldnt give up for anything now that i own it..it did cost but in the long run all my books are free thru amazon..I get free movies on it..games..internet and on and on. I still read books at home but when I leave or go away for a spell it is prefect to take with me rather than a pile of books. As for schools..Great I think…they get the best update facts…many times the book is outdated by end of year and no go for next year kids. I don’t like the idea of E-books for kids who don’t yet know about paper books. However, all you need is one bill for books a student “misplaced,” and you think, if only they had been E-books. One book costs more than a basic E-reader. May I mention that (1) you can find low-price or even free books for your E-reader. If you don’t like them, you can delete them and no harm done. (2) Public libraries are beginning to implement E-book borrowing; nice not to have to rush to get them back on time. I do my reading for the most part on the computer these days. I don’t have a dedicated e-Reader. I don’t much care what physical form the words come in. The problem with school children being able to afford reading devices is real, but it is just a small part of the much broader problem of the Republicans trying to strangle every aspect of society that doesn’t immediately put money into the pockets of the super rich. The devices don’t cost that much, if schools were funded the way they should be in a civilized society. I don’t have a dedicated E-reader, but I do have a phone on which I can read books. I have multiple reader applications, all of which were free. Our local library has many books in e-format now and they can be downloaded for a specified time period, just as physical books can be checked out. No cost for either service. There are also an incredible number of free (out of copyright) books available through Amazon, the Gutenberg project and other sources. For me, it’s great to be able to read without the weight and to have far greater flexibility in my body positions when I am reading. My godchild is a high school sophomore and, this year, was issued a tablet. The cost to her parents for the rental and insurance for the year is less than they would have had to pay for their contribution to the cost of books (our public schools are poor). Most of the software pre-loaded onto the tablets is open-source and free to the schools and the cost for updating textbooks is substantially reduced from year to year. The tablets are sturdy and simple and should have an effective life of 3-5 years. I don’t have the cost figures, but given that they were purchased in bulk, I suspect it was no more, and perhaps less, than the schools would have spent on textbooks (which were often bought used or outdated because of budget limitations). When the tablets are replaced, some of the components can be recycled and what can’t will take up far less space in our landfills than the discarded books. I am certainly not anti-book and very much appreciate the older form. However, I think that the ability to access such a vast and varied pool of material through one small device is one of the great blessings of our current technology. You make a very good point about the weight of the books for children. Yes, that is a benefit. Of course, they wouldn’t be quite so weak if all the PE classes weren’t abolished and if they got to participate in more activity during school and after-school hours. But I have to concede that as a definite benefit. Still, the main question is the cost of the stuff. You have been most thoughtful this morning. I really don’t care to have an E-reader. I like hard bound books. However, I do know that if I had an E-reader, I could get free downloads along with the ones to be paid for. For books I would not want to keep, I feel this is the way to do. On the other hand, I can go to the library and check out the book which costs nothing to me, read the book, and then return it in its allotted time. No cost other than the gas if I drive over or the added benefit of getting a walk in. Round trip for me would be 1 mile and 8 tenths. Now as to school children and their books, I would want to know who is going to help the families who cannot afford those fancy gadgets. One positive thing I see here since it has been in the news is the weight of backpacks and sore backs that come along with it. To have one E-reader that holds all the books they need for the year, that one gadget would weigh a lot less than all of said books. So, this could be a good thing. I for one am old school and I want a book in my hands. I want to watch the bookmark makes its way through the book as I read it. I also like going to the library. I don’t know if this has helped in your thought process on this subject. But this is my story and I’m stickin’ to it.